The skaters have been hinting that they had something in the works so that fans could show their support. Well, here it is. APTE: Athletes for a Positive Training Environment. I haven’t had a chance to look through the entire site yet, but you can leave comments, encouragement AND – this is a biggie – there is information on how you can make donations directly to the skaters! The Speedskating Program has always been severely underfunded. Even more distressing is that the majority of the money you send to most non profit entities rarely trickles down to the people you thought you were trying to help in the first place. Administrative costs more often than not eat up the bulk of donations. Now you can cut out the middleman entirely and know for certain that your donation to APTE will be going directly to the skaters. On page 10 is one of the allegations that relates to this issue. To be honest, when I read the following blog post on USS’s site, I thought it was infinitely worse, to the point that I almost whipped off a blog post of my own under the category of ‘How could you!!! Have you no shame?!!!’. It was by far and away one of the most flagrant and egregious misrepresentations to pander for donations I have ever seen. 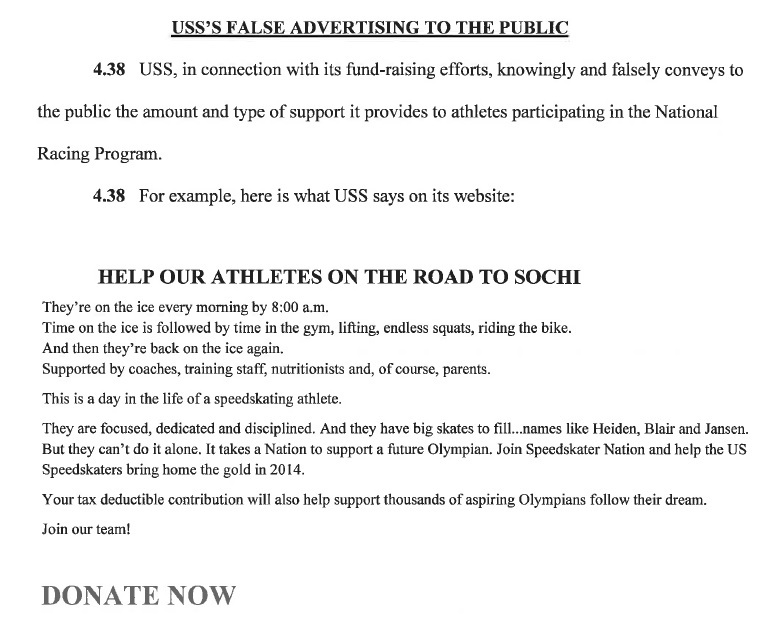 The insinuation that your donation would somehow be helping the skaters with some of these basic expenses would be laughable if it wasn’t so criminal. How many times have skaters been told they had to pay their own way to an international competition after being selected for a World Cup team? That, next to coaching, is the one thing USS should be paying for above all else. If they can’t even manage that, then it’s rather obvious that they won’t be helping the skaters with much of anything else on the aforementioned laundry list of expenses. 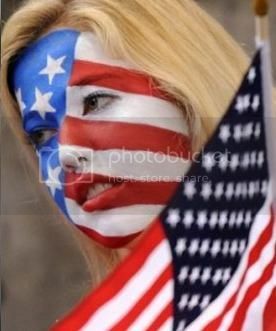 Tugging on heart strings, appealing to your sense of patriotism and your sincere desire to help, that’s how non profits operate. If you still want to make donations to them, so be it. But before you do, first make a donation directly to a skater you truly want and intend to help in the first place. 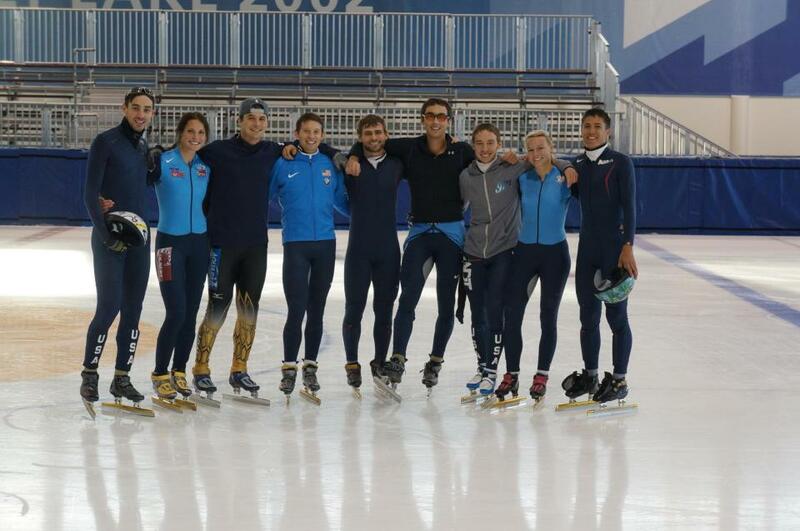 The first competition of the season for the U.S. Skaters is in the books, and the U.S. Team for the upcoming World Cups has been chosen. It’s wonderful to see Travis Jayner is on the second leg of the World Cups. He had to scratch today due to a fall that was accompanied by a concussion. We love Tony’s live feeds, but we HATE seeing the skaters injured. We’re so glad you’re OK Travis! Congratulations to all the skaters! On a side note: This season started out with quite a few skaters greatly missed. Jeff Simon, Simon Cho, Morgan Izykowski, and Anthony Lobello. Simon Cho has been on the mend and the coaches must think enough of him to give him a spot on the World Cup 3 and 4 Team despite not being able to compete. Anthony is finishing his school obligations. Good for you Anthony. Get the parchment and then concentrate on getting some GOLD. I’m a bit sad Kimberly Derrick didn’t make the team, but it does give some other gals some experience. 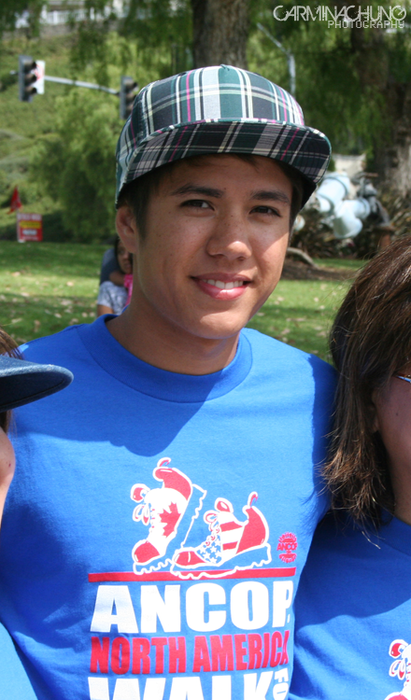 As a fan, we have a warm spot in our hearts for certain skaters and Kimberly is one of them. We’re heartbroken for them when they don’t fare well, even though we know there are only so many spots, and everyone can’t make a team. Kimberly’s concentrating on school too the last I heard and I’m sure a lot of her energy is going into that. Hang in there Berly. Fellow Olympic Team Member Allison Baver was also MIA. She announced on her FB page that she’s decided to train for another Olympics, but seeing as she wasn’t at this competition, perhaps she has decided to continue giving long track a go. The best of luck to all of you. To check out the rest of the news, see the links to the right for US Speedskating, the Boots and Blades Forum, Bella Faccie photography and Tony Chung- Short Track HD. This is a fan blog about J.R. Celski. Carmina Chung has some lovely photos of her meet and greet with J.R.
ALSO: (Yes, I accepted the mission) Don’t forget to add J.R.’s ‘M.A.D. Northwest’ blog to your favorites list. Follow on twitter and Facebook too! Yup, that’s M.A.D. …as in – Music – Art – Dance. Last I heard, J.R. was taking some time off from short track speedskating and would soon be making his way to attend UC Berkeley. So True…and so it has for J.R.
M.A.D. Northwest is J.R.’s personal project to bring attention to the arts in his beloved Seattle. Great Idea J.R. Wishing you every success with this endeavor! LOS ANGELES, Aug. 2 /PRNewswire-USNewswire/ — The Ronald Reagan Presidential Foundation announced today the formation of the National Youth Leadership Committee for the Ronald Reagan Centennial Celebration. Each of these 38 young athletes, entertainers, and student leaders has been inspired in a personal way by President Reagan’s vision of freedom and the example of his leadership. Committee members will participate in the Ronald Reagan Centennial Celebration representing America’s next generation of leaders. 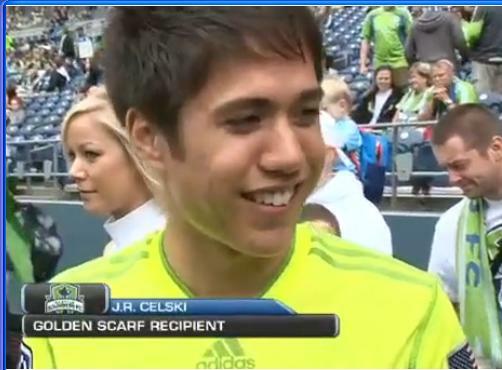 JR Celski Golden Scarf Recipient at Sounders Game! 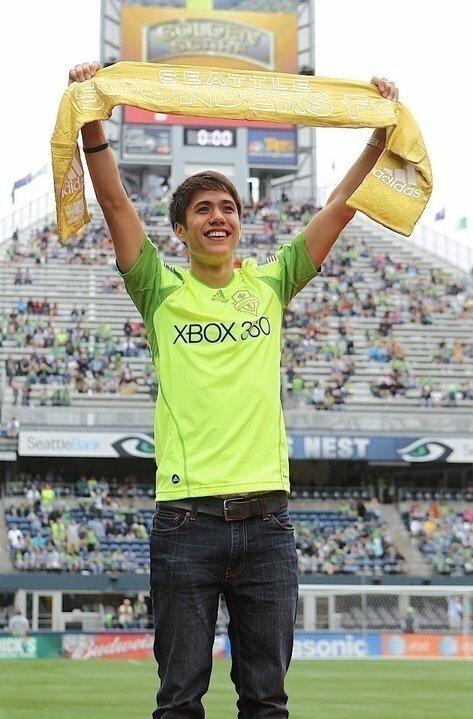 Fil/Am Olympic Bronze Medalist JR Celski receives honorary Golden Scarf at the July 18th Sounders Game! Majority Owner Joe Roth presenting Olympic Speed Skater J.R. Celski with the Golden Scarf prior to the Sounders match against Celtic FC. Golden Scarf: J.R. Celski from Seattle Sounders FC on Vimeo. mmmmm, where were these videos in my google alerts when they were first posted? You are currently browsing the archives for the J.R. Celski category.